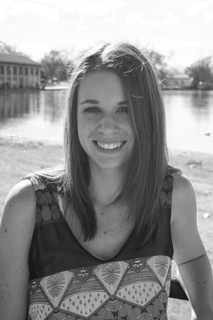 Center for Authentic Living, Inc.
Sarah is a Licensed Clinical Social Worker. She received her Bachelors Degree in Social Work from Colorado State University and a Master of Social Work Degree from the University of Denver with a clinical concentration in High-Risk Youth. Additionally, she has a certificate in Interpersonal Trauma Studies from DU and is trained in trauma informed care. Sarah's background includes working as a Family Service Provider, providing in-home therapy to children and families dealing with challenges such as depression, substance abuse, and self-harm, among others. She then transitioned into School Social Work, working in the public school system at the elementary and middle level with children in need of social/emotional support and crisis intervention. From there, she transitioned into providing individual therapy in a private practice setting. Sarah enjoys working with children, adolescents and young adults. Her specialty areas include anxiety, trauma, self-harm, behavioral problems at home/school, stress management, self-esteem issues, and divorce/family conflict. She utilizes evidence-based treatments including acceptance and commitment therapy (ACT), mindfulness-based cognitive therapy (MBCT), and dialectical behavior therapy (DBT). However, the longer she practices, the stronger her belief that all people have different styles of therapy that will be most effective for them.